In the aftermath of World War II, many young artists in Japan—as in Europe and the United States—challenged themselves to rethink their inherited artistic and pictorial traditions. 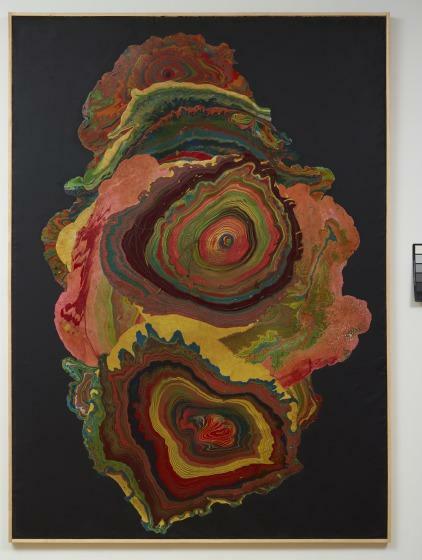 In 1954 Jirō Yoshihara rallied a number of young artists together in Osaka to start the Gutai Art Association, of which Shōzō Shimamoto was a founding member. Inspired by Yoshihara’s radical calls to “create what has never existed before,” these avant-garde artists produced experimental work using unusual materials and techniques, such as throwing bottles of paint, wrestling in mud, and breaking through paper screens. 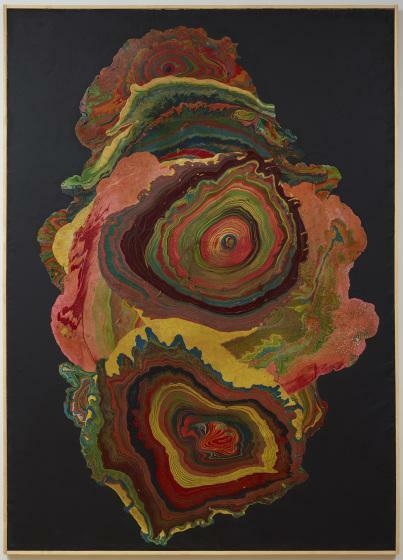 This painting belongs to the artist’s Uzumaki, or Whirlpool series, which predominated Shimamoto’s practice in 1965. To create this work, the artist poured many different colors of enamel onto a canvas, allowing the colors to separate according to their specific density. As with the experiments of other Gutai artists, these works were not the result of careful study but rather were conceived primarily by chance. 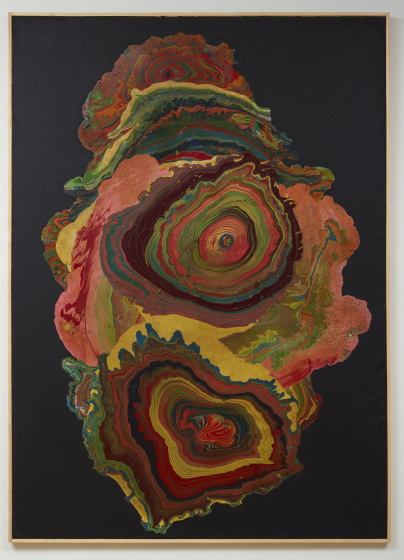 Shimamoto’s choice to pour paint directly onto the canvas is indicative of the artist’s personal ambition to “set paint free from the paintbrush” and breathe new life into the materiality of paint itself. Jeffrey Grove, DMA Label copy, __Variations on Theme: Contemporary Art 1950s - Present, 2012.